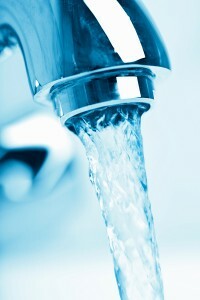 RainSoft is happy to perform a home water test for anyone living in the Toronto, Ontario area. Our fully complimentary and commitment-free test is meant to help homeowners learn about the water they use every day. The reason we perform complimentary water tests is because, since we first opened our doors in 1953, our goal has been to help people like you learn more about their water, including how to improve it. If at least one of the points above resonated with you, consider scheduling a home water test from RainSoft. Unlike other companies, we won’t ask you take a water sample, mail it to us, and then make you wait days or weeks for your results. We prefer a more hands-on approach when performing our home water test. That’s why we’ll send one of our experts to visit your home at a scheduled date and time, have them test your water, and then explain to you the results immediately – all in the convenience of your own home. If any problems are detected in your water, you can rest assured knowing we’ll suggest the right treatment methods for your home, so that you can begin enjoying fresh, clean water. To learn more about our water treatment methods or to schedule a home water test for your Toronto, Ontario home, call RainSoft today.